The Kitsound Diggit Bluetooth Speaker - Kat Got Your Tongue? 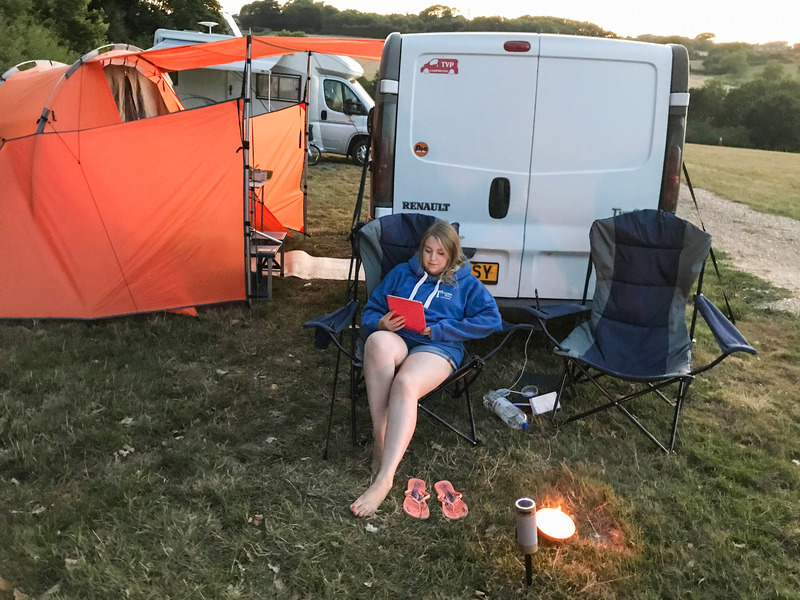 Over the Summer (and a bit of Autumn too) we’ve been on several camping trips in our campervan, embracing the great outdoors and enjoying the unexpectedly warm weather. 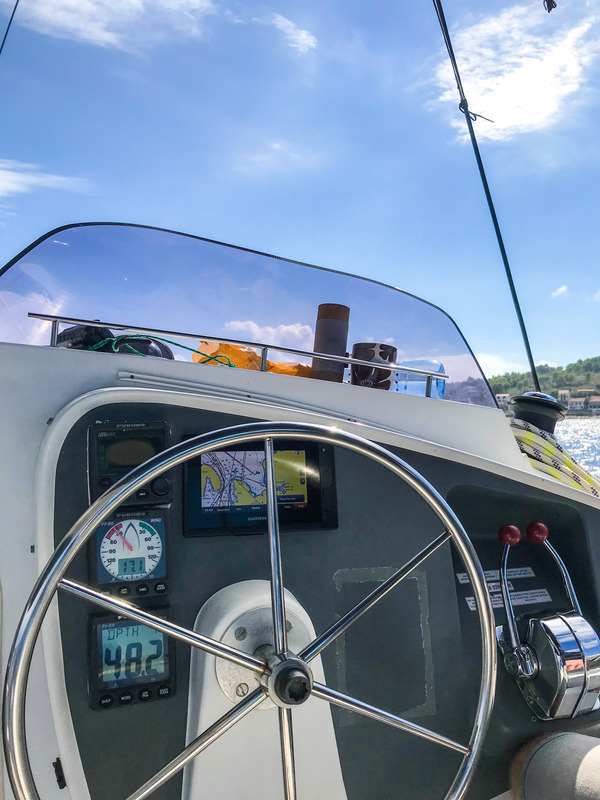 We spend a fair amount of time outdoors, either camping or boating, so most of our gadgets and accessories need to be weather proof and durable. 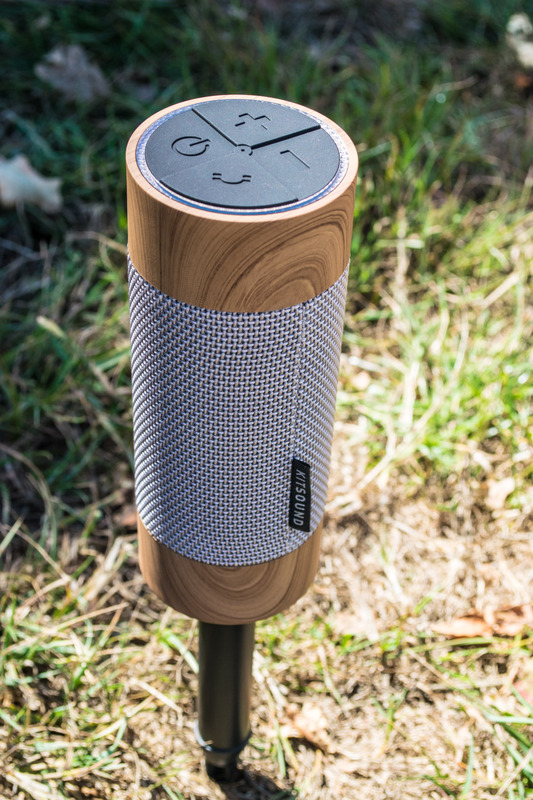 So, when KitSound asked me if I’d like to test out and review their new Diggit Bluetooth Outdoor Speaker – I had to say yes! 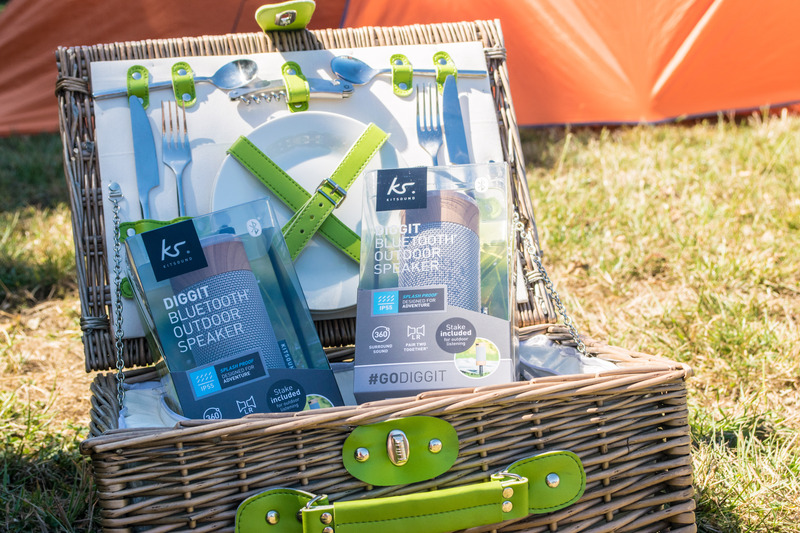 The new KitSound Diggit Bluetooth Outdoor Speaker is perfect for outdoor enthusiasts like us with its water, sand and dust resistant design – plus it comes with a removable stake, allowing you to take your speaker from the kitchen table and out into the great outdoors. 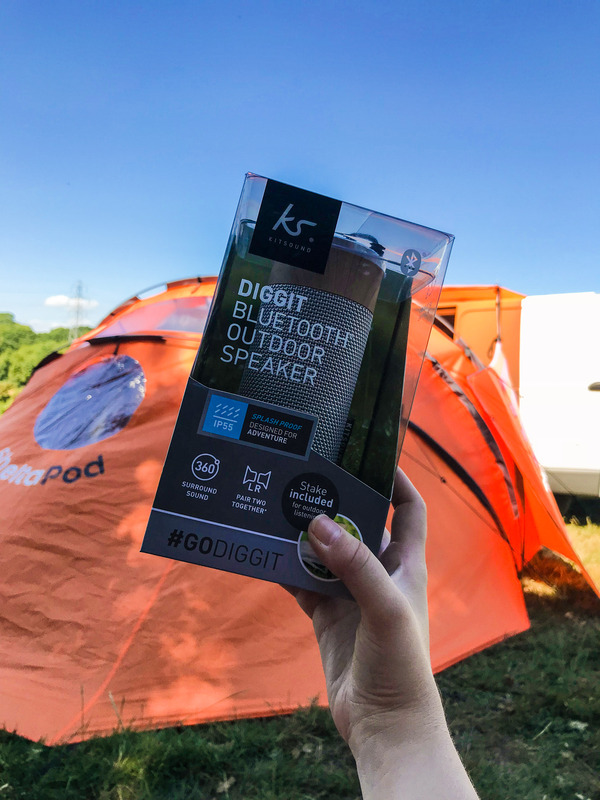 The Diggit has up to 8 hours of play time, 360° surround sound and the ability to pair two together – so I was excited to test the speakers on our next camping trip! Inside the box you’ll find your speaker and plastic stake, charging cables and instructions – and you’re ready to go! 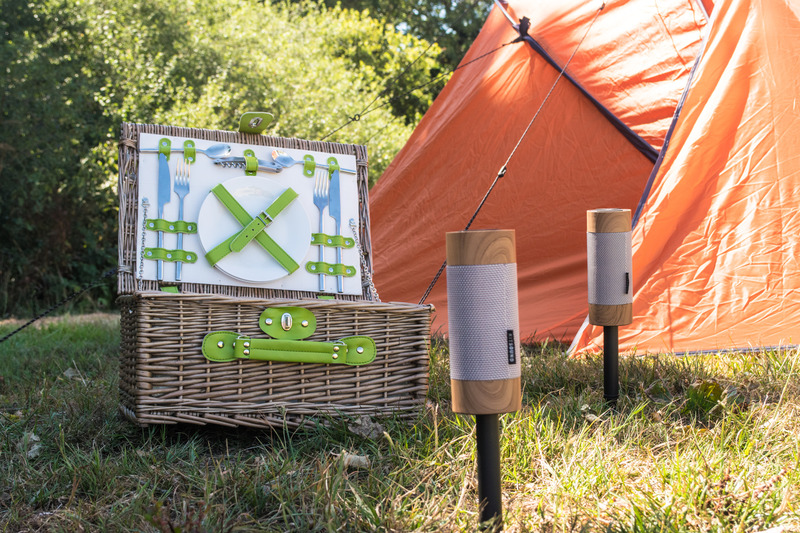 We paired our two Diggit speakers together and staked them around our camping setup. The plastic stakes were easy to use and pop into the ground, and it was good to have the option to have the speakers elevated slightly – handy for if the ground is a bit damp! 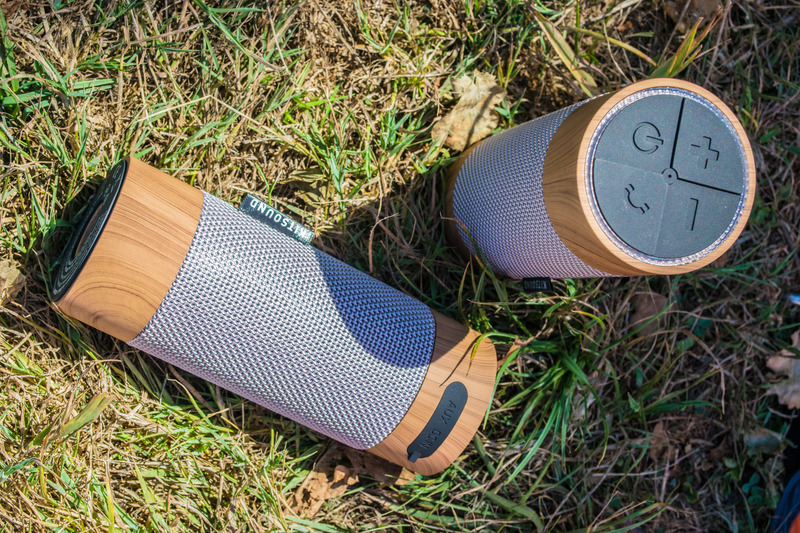 The wood grain effect on the speakers makes them an attractive addition to any environment, indoors or out, and the corded texture of the speakers makes them feel much more durable and suitable for travelling. 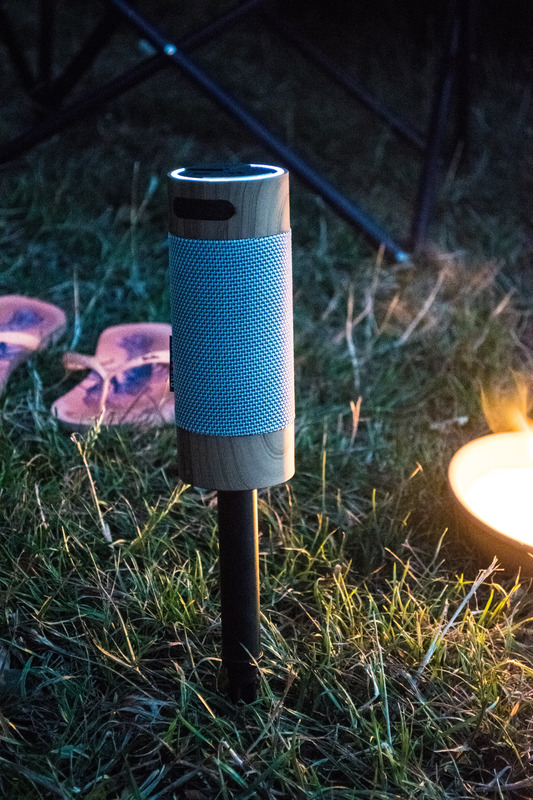 After testing the Diggit speakers out while camping, both paired and individually, I’ve found them to be absolutely brilliant! 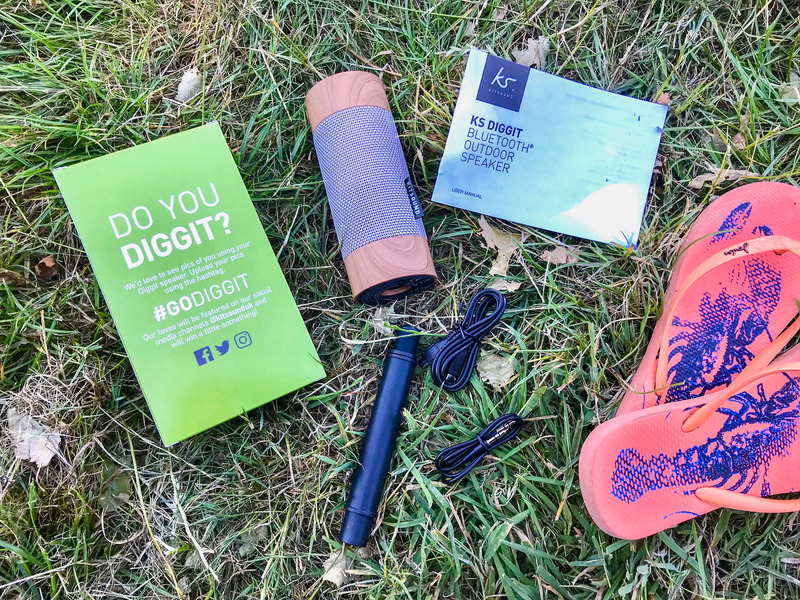 The Diggit is compact and robust enough to throw in your bag when you head out, practical for camping trips and super easy to use. The rubberised buttons and light up ring on the top of the speaker are nice additions, and the base is non-slip too – perfect for table tops! 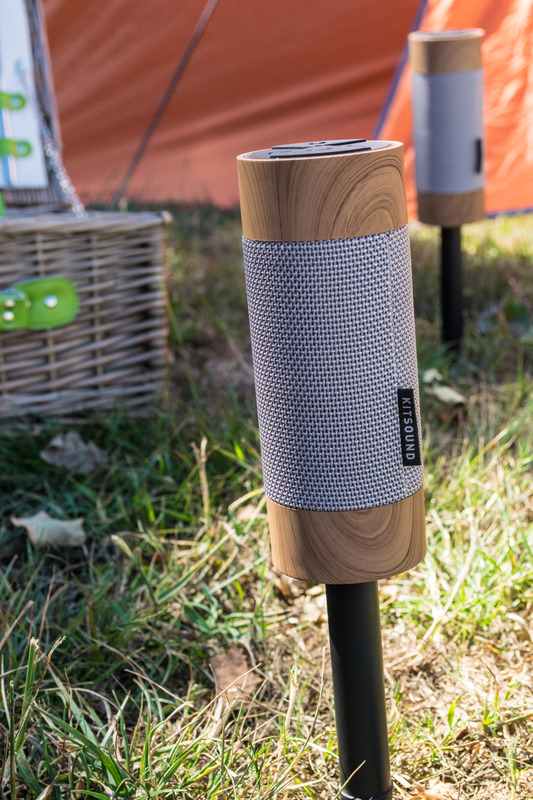 The sound quality of the Diggit speakers is fantastic, even at low volumes (which is important when you’re on a campsite!) and when the speakers are paired, the music is perfectly in sync. The light up ring is brilliant for using the speaker in the evenings! 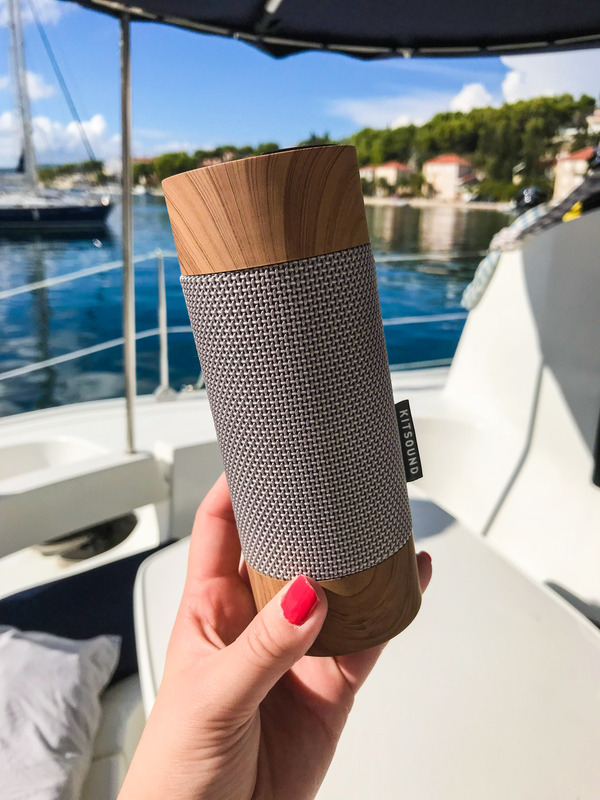 The KitSound Diggit also came away with me to Croatia for our recent sailing holiday. I was keen to see how splashproof the Diggit was – but alas, I did not get the opportunity as I managed not to drop the speaker overboard! However, the Diggit was perfect for sailing, and was stable even on sloped surfaces and through waves. 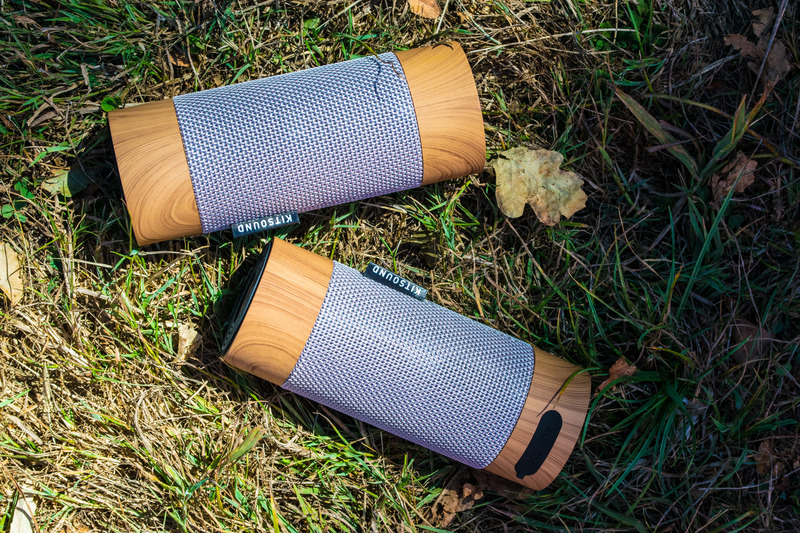 All in all, if you’re looking for a versatile, weatherproof bluetooth speaker that is perfect for use indoors and out – KitSound have you covered with the Diggit! 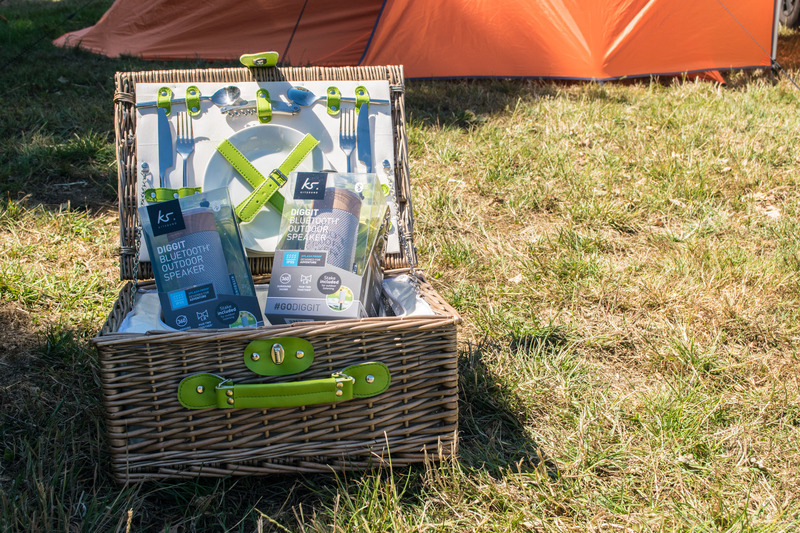 I’d really recommend giving it try if you’re in the market for something new – I love ours and I’m so pleased to have found the perfect addition to our travel gadgets! The KitSound Diggit Bluetooth Outdoor Speaker retails for £39.99 and you can find out more about it here.